So I did a thing. 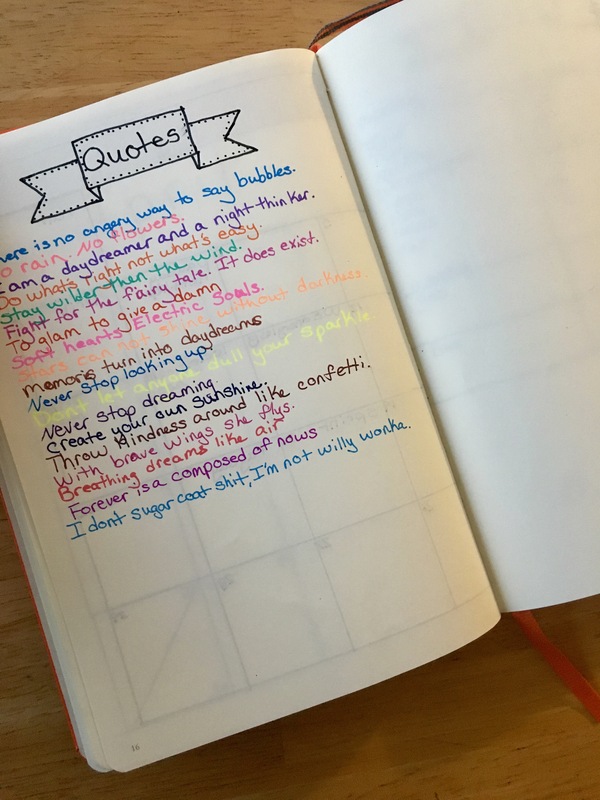 Since about April, I have not use my Leuchttrum1917 bullet journal at all. Nothing. Its been sitting on my desk collecting dust. Just this past week or so I have started using it as a sketch book. But I did a thing to it. I ripped, well cut out the first 40 pages that I had used to set up my month in April. Yes, I know. I could have just could use it with the months that I never touched and bothered me sooooo bad that they were just hanging out in the front of the book. So I wanted a fresh start for the notebook. I did finish one notebook. I’m not sure if I will pick it back up or what right now. I did enjoy it but it seemed like a chore. I would forget to set up a week and then the week would be half over or I would forget to do it completely. I have all my appointments and reminders on my phone/ laptop. which I carry my phone everywhere I go. 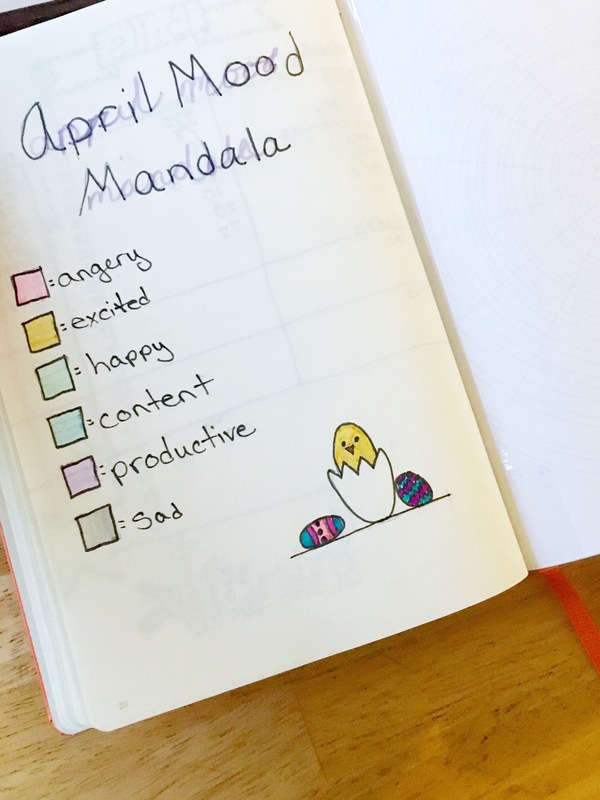 So my journal would just site at home. I don’t use any fancy apps to help keep track, just mainly the calendar and mail app on my iPhone and mac. I feel this works well enough for me for now, maybe in the future I will pick it back up but for right now, not so much. As I said earlier, I have been using it as a sketch book. I’m using for ideas for a series of art work that I have in mind and will helpfully make it to my shop sometime by fall, hopefully. The pages are perfect for sketching and erasing. I do plan on picking up another leuchttrum1917 or even another moleskin when i’m finished with the Leuchttrum1917 I have. You can click on the picture below to find this item on Amazon. This post contains affiliate links. This means that I will earn a small percentage if you decide to buy from one of the links you click from Amazon You will not be charged extra. 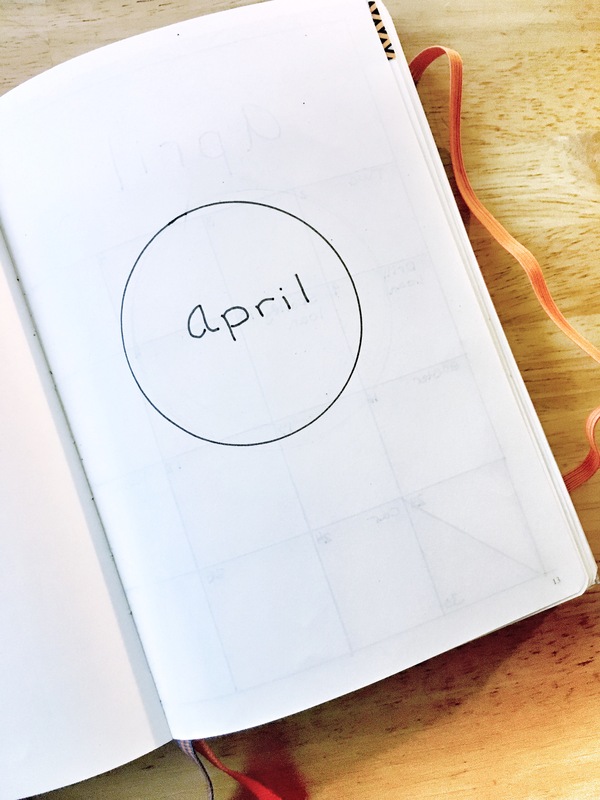 For the month of April, I am starting in a new journal and I have started this new blog. Very exciting! I hope you stay and follow me to stay updated with posts that I write. The reason for moving my blog, was that I bought my self a domain and couldn’t change my old blog address (Glitter and Lust). It was a bummer when I tried but had no luck. I recently did a silly thing during the time I was dealing with trying to change my old blog and my new blog name came to me. So it all worked out. So I hope you will be following this blog, since I wont be updating the old one anymore. So now on to my new Bullet Journal. 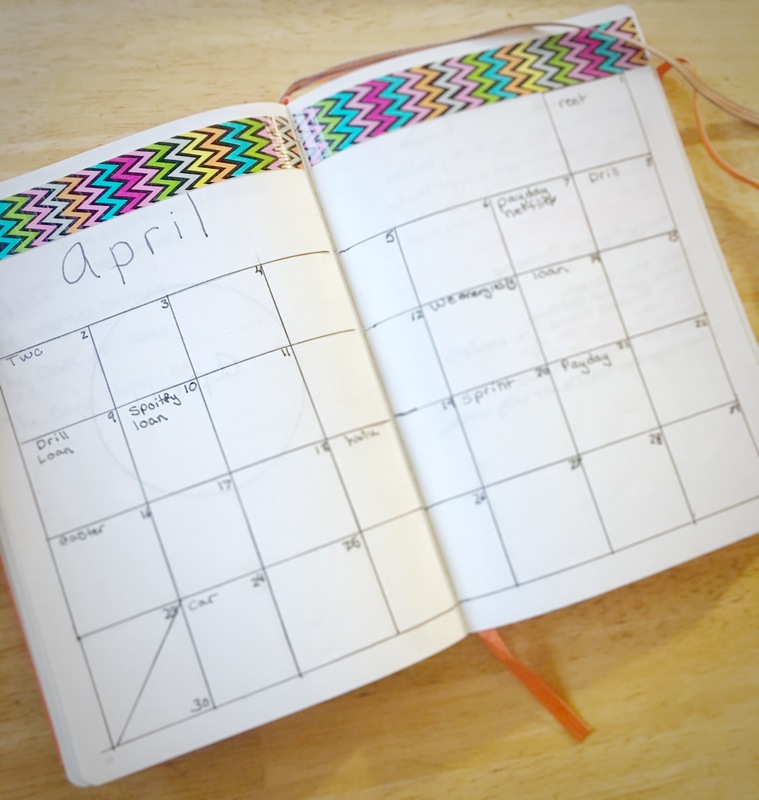 I finished up my moleskin for the month of March just in time for April. The journal that I will be using is a plain orange Leuchtturm1917 My favorite color! I won this journal when Leuchtturm1917 had a giveaway in October for Halloween last year. I even had it embossed! Recently i bought a sticker machine and printed out one of Boho Berry‘s coloring pages. Which then I turned it in to a sticker for my cover on my journal. I am still debating if I want to color it or leave it the way it is. I know this month is super plain and simple but I kinda like it. 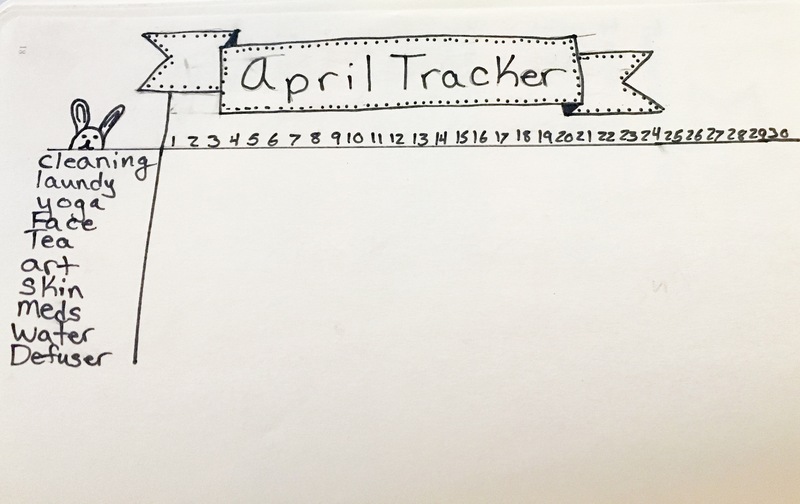 Maybe I will add some leaves or doodles to it over the course of the month. 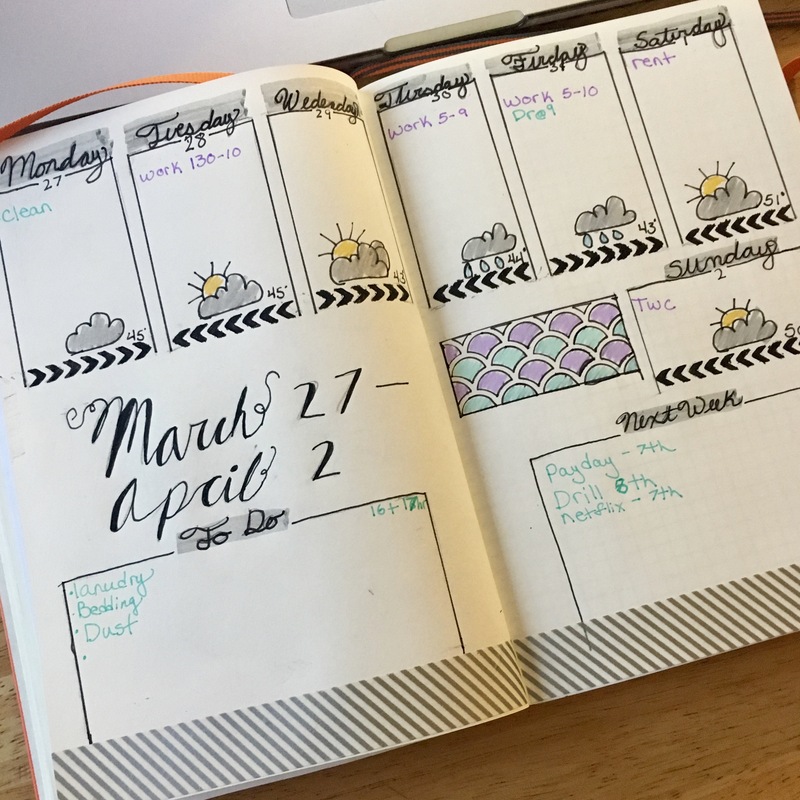 This months overview – I thought this Washi tape was perfect for the month. I bought some others that are perfect for spring/summer. Mood mandala- Trying new thing with my midliners and it didn’t work out, ugh. 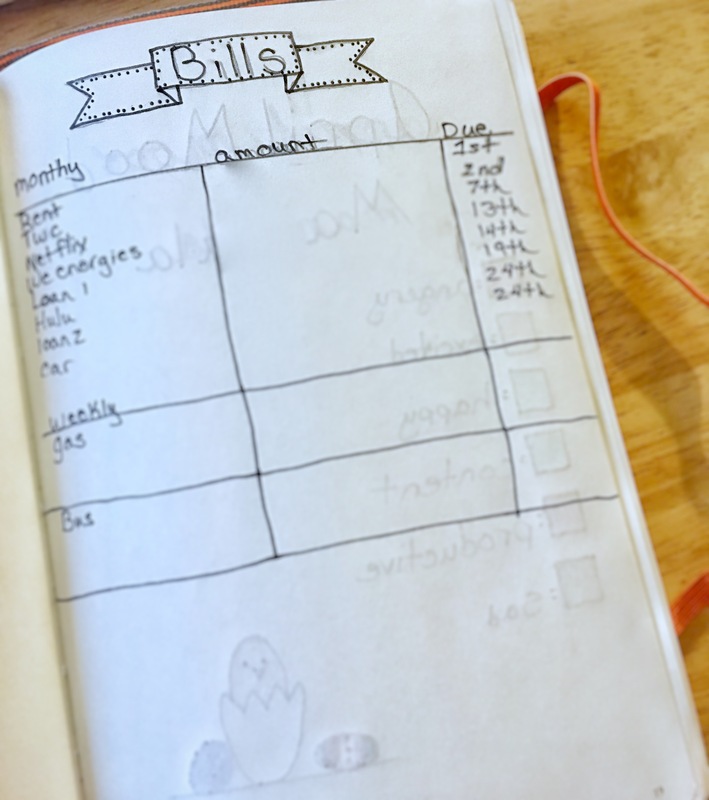 Bill Tracker-Where does my money go. Oh right, bills. Quotes- Not sure if Im going to make a quotes page for every month, but we shall see. Weekly Setup- I really like this one, I think I will keep it around for the next couple of weeks. So, thats what I have for setup for April. I am pretty please with it, considering some of the smudging and bleeding of some of my pens. I need to learn to be more patience with some of my pens, since some don’t dry as fast as others.